Car insurance in India is legally mandatory and it is applicable to both new and used vehicles. So, if you own a new car you have to opt for a car insurance policy in India or if you have been driving your vehicles on Indian roads for years, you need to ensure that you take care of your car insurance renewal each and every year before the expiry of the active motor insurance policy. Although, only third-party liability car insurance is essential, it is always wise to go for comprehensive car insurance plans in India that shields your own car from various situations. After all, you know that it is better to be safe than sorry. Regardless of whether you have newly bought a car or have been driving your old faithful for years, you should be informed of the latest car insurance plans in 2017. Best car insurance companies in 2017 in India are coming up with beneficial motor insurance policies and you should be aware of their latest offerings so that you can choose the best car insurance plan in 2017 among them as per your requirement. Here is a comprehensive list of the top5 car insurance companies in 2017 in India. These motor insurance companies in India are chosen meticulously in terms of premium, claim settlement ratio, after sale support, network of cashless garages across India and customer-care service. And, you can go with any of these providers to keep your car safe and secured. Bharati Axa is a reputed car insurance company in India since 2008. The credibility of this car insurance company is beyond doubts as the company secured ISO 9001:2008 and ISO 27001:2005 certificates within the very first year of its operation. No wonder, car-owners in India have shown their faith in this car insurance company as Bharti Axa have sold already 3.5 million policies so far. Let’s take a look at some of the best features of Bharati Axa car insurance policy. You can avail as many as 12 valuable add-on covers for additional protection. You can choose add-on covers like Depreciation cover, Hydrostatic Lock Cover, No Claims Bonus Protector, Roadside Assistance and so on. You can get your new car insurance policy instantly without having to going through the ordeal of lengthy paperwork. If you have been driving your vehicle for quite a long time, you must have heard this name. Chances are also high that you car is covered by Oriental car insurance policy. In case you haven’t yet tried car insurance plans by Oriental Insurance, get your car insurance renewal done with this state owned car insurance company in India. With the robust infrastructure of over 30 regional offices, 1800 active branches and more than 14,000 employees not only in India but also in countries like Nepal, Kuwait and Dubai, Oriental Insurance have well and truly created a niche by itself. And, being armed with iAAA rating by ICRA and awards like best public general insurance award’ and ‘best bank and financial institution award’, Oriental Insurance might well be the stop where your quest for the best car insurance company in 2017 in India would end. Let’s take a look at the main USPs of Oriental car insurance policy. Just like Oriental Insurance, New India Assurance is another trustworthy name in the domain of car insurance in India. In the contest of the best car insurance companies in 2017 in India, New India Assurance is well and truly a strong contender as this is also a government of India owned entity which is armed with a strong infrastructure, capital and human resource. 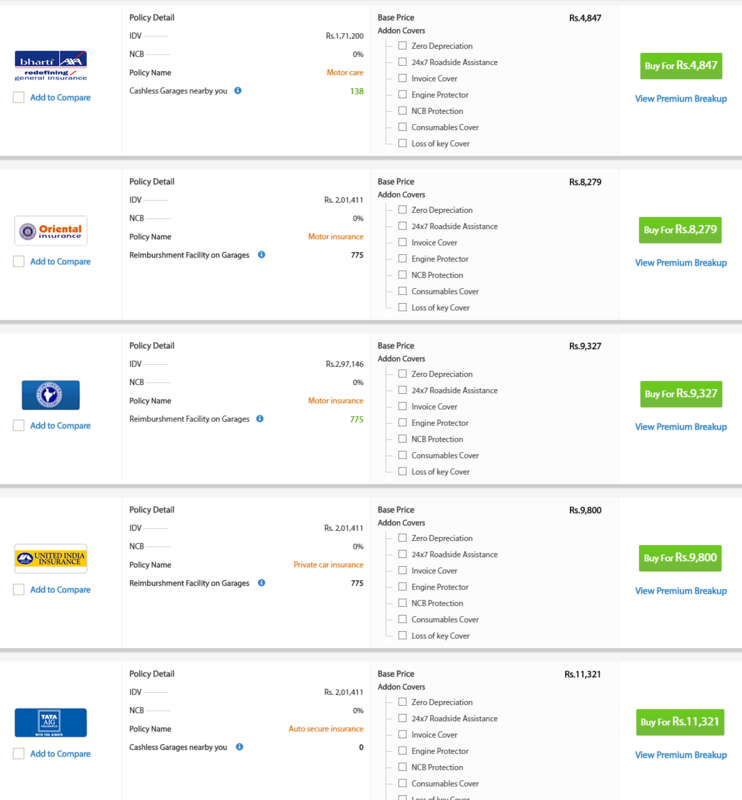 You can rest assured of the reputation of this car insurance company in India as it is the sole insurance provider in India to get A- (Excellent) rating by A.M.Best Co. Let’s take a look at some of the best features of New India car insurance plans. If you want to get your car insured by any state owned car insurance company in India, United India Insurance is another option for you. United India has been operating for many decades and has proved its excellence as a motor insurance company in India. Being one of the leading insurance houses in Asia, United India insurance can well be your best bet for the best car insurance company in 2017 in India for your vehicle. If you want to drive your car outside India under same protection you can do the same by paying additional premium in some specific countries like Bangladesh, Pakistan, Bhutan, Nepal, Sri Lanka, Maldives. Tata AIG is one of the oldest car insurance companies in India from private sector and one of the frontrunners if you want some choices among private car insurance companies in India. The innovation called ‘Go Digital’ has now made Tata AIG one of the most sought-after car insurance companies in 2017 in India. A comprehensive car insurance online plan comes handy when personal vehicles get stolen or get involved in any mishap. To keep your car safe and secured you need to avail an online motor insurance policy from a reliable and reputed car insurance company in India. This list of top 5 car insurance companies in 2017 in India will help you select the best car insurance online plan for your car as per your budget. You can compare car insurance policy online on GIBL.IN, the premiere online insurance marketplace that facilitates detailed comparison of car insurance online policies online. After checking all the motor insurance plans on offer in terms of benefits, cost, inclusions and exclusions, when you choose a particular online car insurance policy, you can buy car insurance online or get car insurance online renewal done right from GIBL.IN within a few minutes. A comprehensive car insurance online plan provides financial protection in the event of an unfortunate mishap. 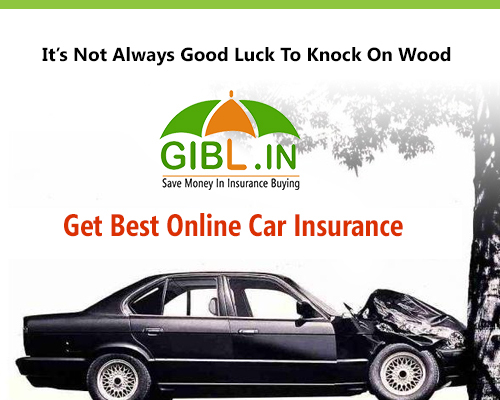 So, visit GIBL.IN today and get the best car insurance online plan for your car without any delay. Chennai flood - What can you get on your motor insurance policy?